The 24th annual Lamb's Retreat for Songwriters is taking place November 1-11, 2018. This event brings some of the best songwriters right into our neighborhood. Again this year, we are taking advantage of the retreat to schedule a songwriter showcase right between the two weekends of Lamb's Retreat and bring together a collection of great songwriters from the Retreat to perform on our stage. The 24th annual Lamb's Retreat for Songwriters is taking place November 1-11, 2018. The retreat run by John Lamb (pictured below) is held at Birchwood Inn north of Harbor Springs and features workshops, performances, showcasing and song swaps. Each participant gets a songwriting assignment and writes and performs their song during the weekend. For more details, see the Retreat website. Obviously, this event brings some of the best songwriters and aspiring songwriters right into our neighborhood. 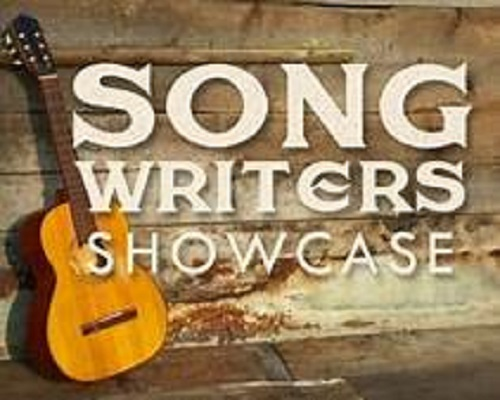 Again this year, we are taking advantage of the retreat to schedule a songwriter showcase right between the two weekends of the Retreat and bring together a collection of great songwriters from the Retreat to perform on our stage. ot only that but the performers have agreed to donate their portion of the proceeds from the showcase to the Blissfest Lamb’s Retreat Scholarship Program. The purpose of this scholarship is to encourage aspiring songwriters by providing financial assistance to enable youth and adults the opportunity to participate in the Lamb’s Retreat experience. Come to the concert and enjoy some greats songs sung by some of the best songwriters around and help support great songwriting. Presented by the Artists-in-Residence of Lamb's Retreat for Songwriters. Thanks to Bruce Smith for organizing this event again this year.